Houseplants have the magical ability to brighten up any space. Creating a welcoming environment, houseplants can easily turn a bland living room into a warm and cozy area. They are also good for your health since they change carbon dioxide into oxygen and help trap pollutants. Moreover, they give you the chance to do your gardening indoors. If you want to brighten up your home with an indoor garden, it is important to learn how to care for houseplants properly. All it takes is a healthy environment, water, nutrients, and your care and attention. Here is a short guide that will teach you how to care for houseplants in a few easy steps. 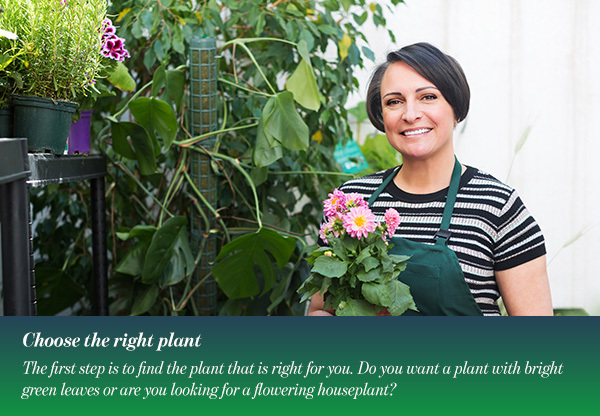 The first step is to find the plant that is right for you. Do you want a plant with bright green leaves or are you looking for a flowering houseplant? You should also consider how much time you can invest in caring for your plant. If you travel often, it is best to avoid plants that require daily watering. When choosing your houseplant, think of your home’s layout. Is there plenty of natural lighting or do you have a confined space by a smaller window? These points will help you determine the right houseplant and set you off on the right track. Once you have chosen the plant, you will need to know how to care for houseplants in general and your plants specifically. Do some research to understand your plant well. Find out if it is a flowering or foliage plant, how much sunlight it needs, what types of nutrients, and how much water. Moreover, you need to know if your plant really is an indoor plant or is only marketed as such. One of the most important tips in caring for your houseplant is giving it the right amount of water. 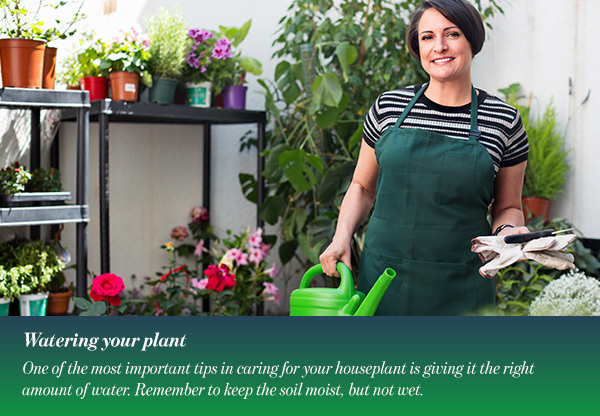 Remember to keep the soil moist, but not wet. A good tip is to stick your finger up to the knuckle in the soil. Damp soil means you don’t need to water it while dry soil means your plant needs water. Dry soil can kill your plant, but so will overwatering as it damages the roots. Do some research on the plants you have to determine how regularly you should water them. It is best to water your plants using water at room temperature. Furthermore, remember to select pots with good drainage to avoid over or under watering your plant. Mold on the soil surface or standing water at the bottom of the pot mean you have overwatered your plant. Standing water should be emptied out. Overhydrated plants have discolored leaves, lack of leaf growth, loss of leaves, soft rotten patches, slow leaf growth, brown and dried leaf edges, lower leaves becoming yellow and curled. Next, you need to make sure your plant is exactly where it needs to be. 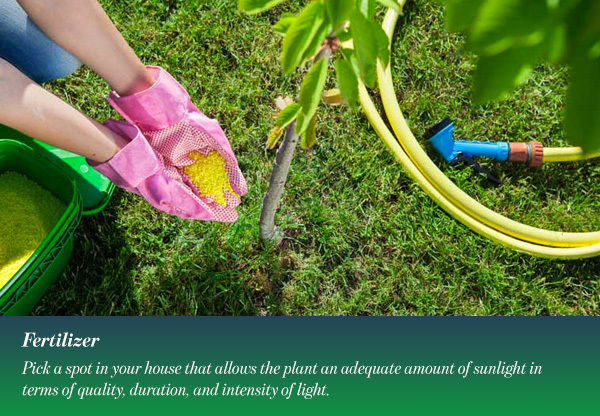 Pick a spot in your house that allows the plant an adequate amount of sunlight in terms of quality, duration, and intensity of light. 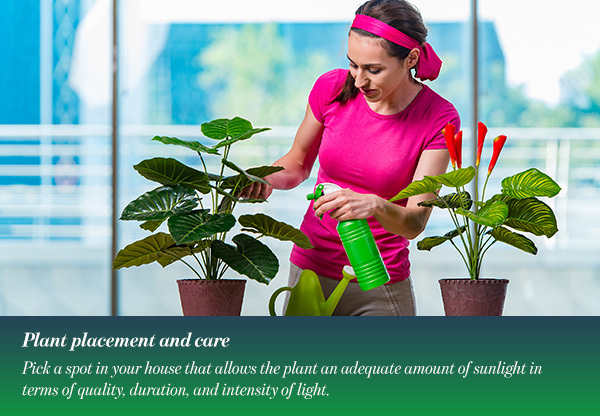 Don’t put your plants in direct sunlight, instead, place them in a well-lit room with plenty of indirect light. Flowering plants need 12-16 hours of light per day while foliage plants need 14-16 hours of light per day. Once your plants are properly positioned, try not to move them around a lot. Plants get accustomed to their environments slowly, so allow them to adjust. Furthermore, pay attention to the humidity in the room. Most tropical plants need humidity, which can be achieved by buying a humidifier. You can also spray the plants with distilled water or group your plants together to raise humidity. Another option is to fill a tray with pebbles and add water just below the tops of the pebbles. The evaporating water will then humidify the room. If you are really interested in how to care for houseplants, then you need to know if and when your plant needs pruning. Roots can sometimes outgrow the pot, meaning you will have to replant. Make sure you cut off dead branches or stems and to prune above the leaf node at a 45° angle. You will have to research the type of plant you have to know how often it needs pruning. Houseplants need a good fertilizer as they don’t have a regular source of nutrient replenishment like outdoor plants. The type of fertilizer you will need depends on the plant you have. Flowering plants use a fertilizer that is high in potassium while foliage plants require a fertilizer or potting soil high in Nitrogen. Cacti and succulents need a special potting mix designed to drain water efficiently. Generally, flowering or growing plants should be fertilized once a month. During the winter, however, when plants are not growing much, you may not need to fertilize. Of course, it is best to use an organic fertilizer made for houseplants. Make sure you read the instructions clearly and add the right amount. If your plant is dropping its lower leaves, showing weak growth or an overall yellow-green color, don’t add fertilizer just yet. Your houseplant may simply need more sunlight or less water. It is important to analyze the situation before adding fertilizer as they may be worse for your plant. 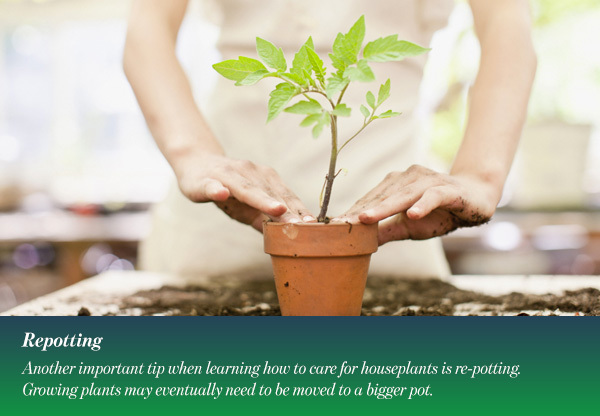 Another important tip when learning how to care for houseplants is re-potting. Growing plants may eventually need to be moved to a bigger pot. You may also need to re-pot if your old pot is not the right one for your plant. Make sure you re-pot in the spring when plants are starting to grow. As the plants grow, they will easily adjust to the new container. Furthermore, it is important to choose an organic soilless medium which is made from components such as peat and inert materials. Then, you need to find a pot that is bigger than the old container, but not too large. A large pot may encourage root rot among other problems as the soil will stay wet for days or weeks. When you are finally placing your plant, take care of the root system. Firm the soil around it without compacting the soil. Also, remember to leave space at the top of the new pot.